Husse turns 30 - Happy Birthday to us! 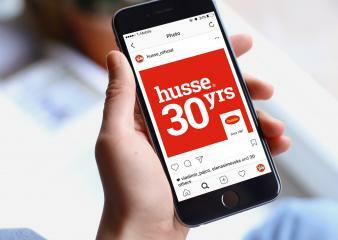 Husse turns 30 this year and of course we want to share our birthday with all of our customers and to everyone within our organization. We appreciate the confidence you have placed in us and we look forward to providing you with the best products and services in the future. From 18th till 22nd of January Husse France was taking part in a horse show "Cheval Passion" in Avignon. At this fair Husse participated in a competition called "Challenge de l'innovation", category "Innovation Product". Husse was among the top 10 and got the trophy for Healing Cream. 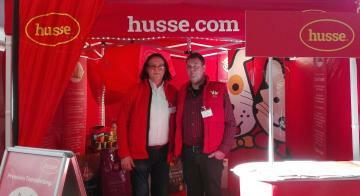 Last weekend 21st and 22nd of January Husse Germany participated in Dog Live Show in Münster. There were about 30,000 people at the fair. 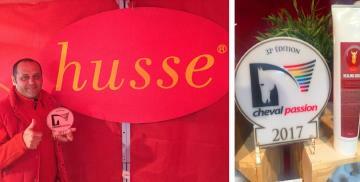 The Husse Stand had a lot of visitors and dogs loved the food.